1367: Europe stands on the brink of total war. Political alliances are beginning to rupture. No state is immune: England, France, the Holy Roman Empire, Milan, Genoa, Venice, Constantinople . 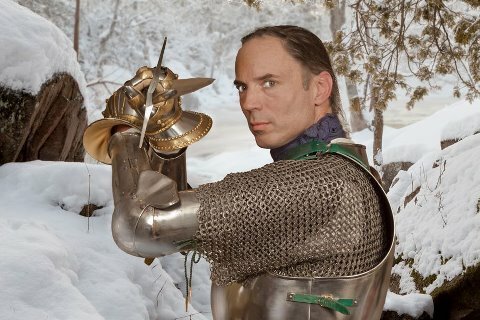 . . Every mercenary knight for hundreds of miles must sharpen his sword and prepare for battle. But Sir William Gold has other problems. Just to reach Europe, he must capture its most unassailable fortress. He must also protect his liege-lord, the Green Count, from assassins hell-bent on his demise. The balance of power in the West will change. William Gold must trust to hope, and his men, that he lands on the winning side . . .
Book 4 in the Chivalry series and while not my favourite series by Christian Cameron, I think probably the series that feels the most alive and real. This is a series that I feel has taught me much about a time I knew so little, and its always done in such a light handed way, i never feel like im being taught, im just drawn into the period and everything is shown to me, presented in a way to entertain and educate, every item, every place and every action of a fight. In this latest book William Gold returns home to Europe, and all the petty squabbles of small and great nations, the power-plays and back stabbing, that allows the author to make some very insightful comparisons to the companies travels in Outremer. But on the more intimate stage William must protect his Lord and his lady from the machinations of the Prince of Achea and of course inevitably Camus, who seems to become more and more depraved in every book. The plans of the bad guys in this book allow for some great scenes and a true sense of the spirit of the books , the Chivalry of William and his men, and the struggle to live to that code against those who would do what they will, when they want. William Gold may be a real figure from history, but in the chivalry series ,where there are so many gaps in historical knowledge there is fodder for the writer to explore, there has over the series been a blending an evolution of William Gold, so much so that at times im not sure where William Gold begins and Christian Cameron ends, when a person puts that much passion into a character and also that much of his own personal experiences its inevitable and its wonderful from the readers perspective. After the bloody trials of Alexandria, Sir William Gold is readying for a pilgrimage to Jerusalem. He hopes, too, that the Holy City might allow his relationship with Emile, cousin of the Green Count of Savoy, to develop. But the Roman Emperor of Constantinople has been taken hostage by an unknown enemy, and the Green Count is vital to the rescue effort. It is up to Sir William to secure his support, but he soon finds that his past, and his relationship with Emile, might have repercussions he had not foreseen…. Suddenly thrust onto the stage of international politics, Sir William finds himself tangled in a web of plots, intrigue and murder. I’d saved this book, i knew i would enjoy it, it was more about how much? This isn’t a small book and yet i found myself having to slow my reading so i could really enjoy and savor every line of writing. The tale starts with William Gold settling down to recount his past, which as a plot device i think is excellent, it puts the reader immediately into the warm space of being told a story and that for me feels even more real and realistic, the recounting of a history by someone who was there, it brings the whole panorama of the adventure to life. As with all of Christian Cameron’s books there is much going on, many surprises around the corner and so many political machinations that can turn the story, much like life at the time. His characters are very alive and real, imbued with a depth of personality rarely seen in any series. That mix of real personalities fleshed out from the pages of history with a complex personality blended with those imagined and brought to life from the authors deep and intimate knowledge of the time and the culture. While i always love the ain characters like William Gold and Fiore, my favorite in this book has to be John the Turk aka John the Kipchak, a character free from much of the church morailty that mires the rest of the band, he has a simple view of the world that contrasts wonderfully….Ok, there being a Captain Parmenio is also pretty awesome and always a humbling thing, i wonder if there is a record for how many series a character has appeared in? 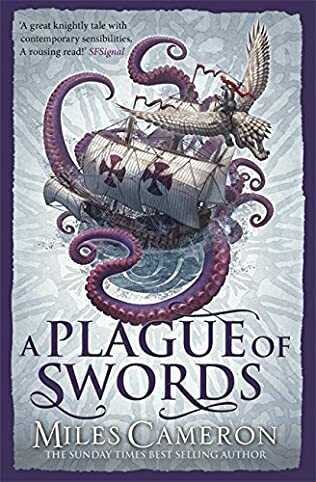 (Captain Parmenio has been in Miles Cameron’s red Traitor Son Cycle, Simon Turney’s Ottoman Cycle, Christian Cameron’s Chivalry series and Tom Swan….honestly, wonderful moments), i’ve come to love that old rogue. I personally don’t find the Byzantine area/period the most exciting, that could just be the books I’ve read (there are odd exceptions), and to be honest in this one Christian Cameron only touches on that world briefly, but still he brings it to life in a powerful and exciting way. The massively convoluted politics of the region, the deep schism’s that surround the seat of power in Constantinople and the constant striving for that seat of ultimate power. It is a twisted web this writer weaves, but as with all the best tales, no more twisted than the truth. As always with Christian’s stories, every blade, every piece of armour, every rivet is exactingly real, every pain in wearing the armour, every fighting move , every twisted ankle and turn of the wrist has been experienced in some way on the field by the man himself (well ok he hasn’t actually stabbed someone… but everything non bloody). 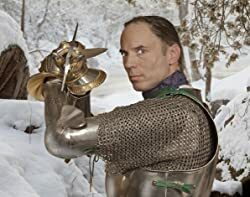 Beyond the battle, to the gloves, the clothes, the shoes, the horses, the logistics, every detail is based on experience from his world of living history/ re-enactment. 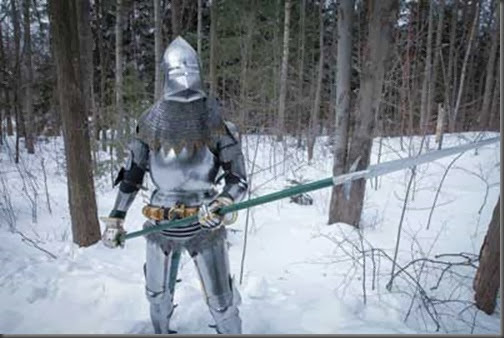 This experience is priceless because of the life and reality it gives the story, these tales are more than blood and battle, they are life in another time, and Chivalry as a series is a love story as much as a tale of honour. I think my favourite description is the gravel underfoot, and how uncomfortable it was, and how much pain it led to, not because of the pain (obviously im not mean) , but because i can imagine at some time the author has experienced it, it was just too personal to have been conjured from nothing, and this is what i mean by the entire book having a startling reality that others do not. Many authors describe what they think something might be like, where Christian Cameron describes what it does feel like. 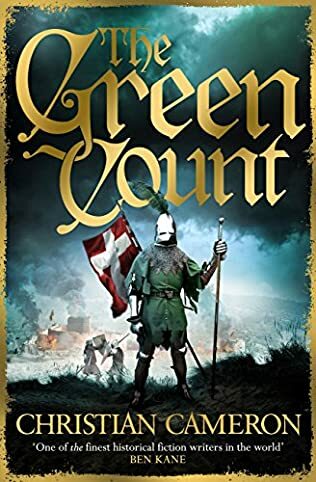 A couple of years ago it seemed unlikely that we would ever see the Green Count, but now we have a stunningly real book, one of the best Historical fiction titles you will read this year, but as even better news; Chivalry will continue next year with Sword of Justice, William Gold and friends will ride again. 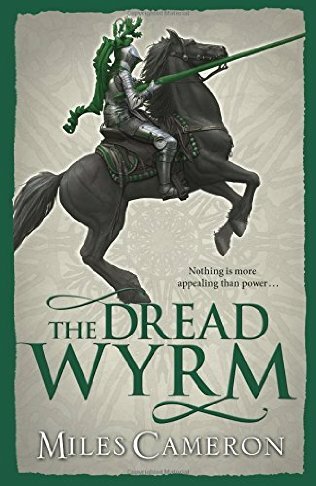 I cannot recommend this book and series highly enough its a must read for Fantasy (if you lived The Traitor Son Cycle you will love this) or Historical fiction readers. Christian/ Miles Cameron was born in Pittsburgh, Pennsylvania in 1962. He grew up in Rockport, Massachusetts, Iowa City, Iowa, and Rochester, New York, where he attended McQuaid Jesuit High School and later graduated from the University of Rochester with a degree in history. After the longest undergraduate degree on record (1980-87), he joined the United States Navy, where he served as an intelligence officer and as a backseater in S-3 Vikings in the First Gulf War, in Somalia, and elsewhere. After a dozen years of service, he became a full time writer in 2000. He lives in Toronto (that’s Ontario, in Canada) with his wife Sarah and their daughter Beatrice, currently age seven. He attends the University of Toronto when the gods move him and may eventually have a Masters in Classics, but right now he’s a full time historical novelist, and it is the best job in the world. Christian is a dedicated reenactor and you can follow some of his recreated projects on the Agora. He’s always recruiting, so if you’d like to try the ancient world, the medieval world, or the late 18th century, follow the link to contact us. The Red Knight’s final battle lies ahead…but there’s a whole war still to fight first. He began with a small company, fighting the dangerous semi-mythical creatures that threatened villages, nunneries and cities. But as his power – and his forces – grew, so the power of the enemy he stood against became ever clearer. Not the power of men…but that of gods, with thousands of mortal allies. Never has strategy been more important, and this war will end where it started: at Lissen Carak. But to get there means not one battle but many – to take out the seven armies which stand against them and force Ash, the huge black dragon, to finally take to the field himself…. The Traitor Son Cycle has been Miles Cameron’s fantasy debut, with so many amazing Historical fiction titles written and read by many proving the quality and power of his writing, for me this was always going to be a case of how good can this get, how can it compare to the many accomplished fantasy series out there, how will the plot cope with the freedom beyond the structure of history? Miles Cameron has since book one given us an astounding series, one filled with a new and highly intelligent and in-depth magical system, a total world spanning societal structure based on varying real world empires and a code of chivalry that underpins the fighting force of the red Knight, one that we can truly believe, because Christian himself lives this code himself, fights in the amour and knows the history. Most of all it has given us a deeply involved plot that employs all of the research and all of the knowledge of a great writer. 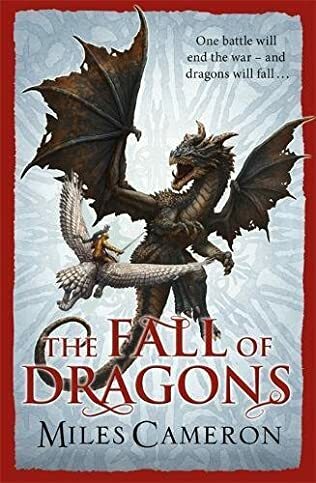 Fall of Dragons is the culmination of this wonderful series, and for me the linchpin of the series, if you fail to tie the knots of a series so full and complex you fail the series. At times Christian/ Miles has cast his net of plot far and wide, sometimes worryingly so, but slowly carefully and with great precision he has pulled those differing views, plots, perspectives and locations together back into the main sort arc, giving a series and book that absorbs you utterly with all its twists and turns. More complex and yet with none of the waffle when compared to series like Game of Thrones, for me this blows away GRRM’s work, because it keeps the plot on point, nothing is there just to appear smart, its there for a reason and you can feel the tension mounting as the author takes you on this majestic and massive journey. Most of all for me, the series had an ending, one that’s hugely satisfying and really powerfully done. The author doesn’t save himself for a another book or a further series, he powers towards the promised ending and leaps into that void with the reader no character is safe. Couple that with the utterly relentless pace of this book, which is essentially 560 pages of battle , journey to battle, preparation for battle and then more battle…. yet written with true heart and passion, taking account of the lives and travails of all involved, lost and celebrated in this war to end all wars. I cant give this any higher recommendation…. i doff my cap sir!! 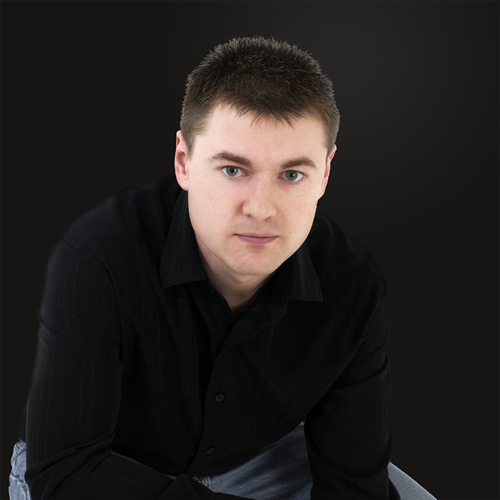 Miles Cameron is an author, a re-enactor, an outdoors expert and a weapons specialist. He lives, works and writes in Toronto, where he lives with his family. One enemy has fallen. A greater one remains. With one army defeated in a victory that will be remembered through the ages, now the Red Knight must fight again. For every one of his allies, there is a corresponding enemy. Spread across different lands and on sea, it will all come down to one last gamble. And to whether or not the Red Knight has guessed the foe’s true intentions. With each throw of the dice, everything could be lost. I find these days with Miles/ Christian Cameron books i have to start a review will full disclosure, admit to the fact that he is a friend and someone i admire for his writing, his many many skills (weapons and much much more) and intelligence (that said… if the book was bad i would honestly tell him). In fact its often that intelligence in the books that so captivates me. He is that rare author who can educate and entertain at the same time and he seems to do it effortlessly. Although i do admit to that fact that when i read the books, i can hear Christians voice, not the sound, but the nuances, and it manages to make me feel like the class dumbo, worse than when sat across the table from him… but i learn and for that… well how can i be anything but appreciative, there are also times when the character uses a turn of phrase and its like he is there in the room. I’m not sure if the characters are assuming his personality or he is assuming theirs. But ultimately it shows how involved he is in the whole writing process (just look at the photo on this blog… he is the Red Knight), and the combination makes for such a great book. Lets get the summary out of the way, The book is excellent, it doesn’t have anything of a middle book or a pre-end of series book. It has quite simple jumped to the top of my book of the year pile (the only reason Rage of Ares isn’t already in that spot is because i have to let someone else win the book of the year .. Or Christian Would walk off with it every year… yes yes i know Miles is Christian… but its a fairly new genre for him after all.). A Plague of Swords see’s Christian utilise every skill at his disposal, but i think most of all his analytical and intelligence officers skills. The Book goes above and beyond the average writers skill to manipulate the reader into following the narrative while the pieces of the puzzle are slowly turned, revealing only at the last moment a situation of victory or disaster. The author is often there to have his main character admit “I make mistakes”, again with the moments when i can hear Christian in the character. The Red Knight isn’t an all round super good guy, he is vain, he is arrogant, he basically has all the expected human vices and more because he is a man at the forefront of power and he revels in it, and hates it, because he cares about his people too much. Its the deeper emotions and motives of his main character where again Christian comes out, but also where i think his own reading comes out, flashes of authors like the great David Gemmell. The Author is a man who lives and writes his experiences. He knows the fighting, but more than that he knows the logistics, the clothes, dancing, the everyday life that the people in this book would have… the only true mystery is the magic, and he has created such a depth of magic system that it is truly breath taking when you sit back an examine it, you can tell he has tried to pick any holes in it and closed everything he could to make it as realistic as possible, for magic it feels real. This truly for me is the pinnacle of fantasy writing. And the ultimate in Fantasy/ Historical fiction cross over… the blending of genres is completed in this series. Book of the Year…. unless someone can pull a rabbit out of the hat in the coming weeks. Arimnestos of Plataea was one of the heroes of the Battle of Marathon, in which the heroic Greeks halted the invading Persians in their tracks, and fought in the equally celebrated naval battle at Salamis. But even these stunning victories only served to buy the Greeks time, as the Persians gathered a new army, returning with overwhelming force to strike the final killing blow. For the Greeks, divided and outnumbered, there was only one possible strategy: attack. And so, in the blazing summer of 479 BC, Arimnestos took up his spear one final time at the Battle of Plataea. I could apologise in advance for any fan boy nature that may follow in the rest of this review….. but i wont, the book is just excellent, so it deserves it. This is the sixth and (for now) final book in the Long War series. The book is about the build up to the battle at Plataea, and also near Lade, but more it is about the people of Greece and how their way of life survived by the skin of its teeth. As always Christian provides a careful educational and entertaining approach to the battle, mixing daily life and frustrations with the machinations of power and the repeated points of near disaster for the Greeks. Highlighting just how balanced the whole war was, as he often states, the war is won by the side who makes the least mistakes. 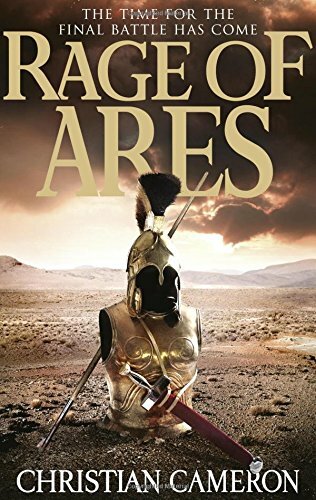 Rage of Ares is in many ways not just the culmination of the Long war but also of the character Arimenestos. Throughout the series he has grown as a character, his trials have taught him and hardened him, they have given him a depth of character and personality, shaped his prowess on the battlefield and formed his friendships and social status, provided the core of the small Plataean fleet and the backbone of its taxeis. So that in time for the last battle, he is the trusted go between for the key nations (Athens and Sparta), allowing him to provide that roving view of the battle field, to be at both battles, and to also take part and provide an intimate view of the scale and feel of the battles. It feels like a perfectly spun story arc that has finally come to fruition. By the end of the book the emotions are pulled as taut as possible, i have to admit to having become invested in Ari as a character over the last 6 years, but i still didn’t expect that the final book would hit so hard, this i have to credit to the authors concept of writing style, making you the reader one of the audience at his family get together, it reads like a fireside tale because its told that way, a great epic tale of life and history told at the feet of the man himself. Woven into this style is the author himself, having been lucky enough to sit and chat with him you can see the nuances of his style of speech and mannerisms in the book and in Arimenestos. A book filled with battles, blood, action, politics, family, friendship, comradeship, craftsmanship, statesmanship… the list of areas used to entertain and educate is just breathtaking. What we have in this book and this series is a powerfully emotional story told in a way that is not only imaginative and entertaining but it also manages to fully educate the reader in the politics and people of ancient Greece. It is one of the best series i have read and should not be missed, it transcends genre because i truly believe there is something for everyone in this series. 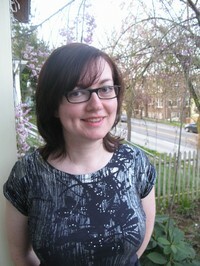 Kate Quinn is a native of southern California. 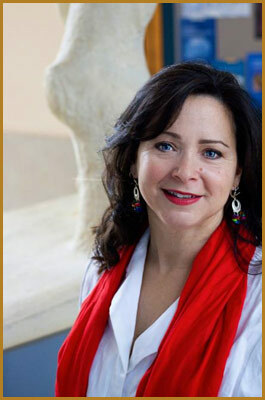 She attended Boston University, where she earned a Bachelor’s and Master’s degree in Classical Voice. A lifelong history buff, she has written four novels in the Empress of Rome Saga, and two books in the Italian Renaissance detailing the early years of the infamous Borgia clan. All have been translated into multiple languages. I live with my wife, son and daughter, and two (close approximations of) dogs in rural North Yorkshire, where my wife and I both grew up, surrounded by friends and family. A born and bred Yorkshireman with a love of the country, I cannot envisage spending my life anywhere else, though my anchor is sometimes tested as the wanderlust hits and we travel wherever I can find the breathtaking remains of the classical world. I have a love of travel and history, architecture and writing and those four interact well enough to keep me almost permanently busy. Since leaving school and University, I have tried a great number of careers, including car sales, insurance, software engineering, computer network management, civil service and even paint ing and decorating sales. I have lived in four counties and travelled as widely as time and budget allowed and find myself finally back where I began and finally doing something I love. Having written a number of unpublished short stories in my early days, I decided back in 2003 to try and write a full length novel. That was the start of Marius’ Mules. Being a lover of Roman history, I decided to combine my love of writing and my love of classical history. Marius’ Mules was followed two years later by Interregnum, my attempt to create a new fantasy story still with a heavy flavour of Rome. Since then, the success and popularity of both have inflated my head so that I can no longer comfortably fit through doors, and has spawned sequels to each work, with the fantasy trilogy complete, six volumes in the Marius’ Mules series, and two books of the Ottoman Cycle quadrilogy now out. I maintain another website detailing the Roman sites I visit and photograph, and write a blog about books. I am an almost terminally chatty person. That’s just a due warning if you feel like contacting me (see above.) I am always happy to speak to people and have put together an FAQ gathered together from things I have been asked previously. Libbie was born in Rexburg, Idaho and divided her childhood between Eastern Idaho’s rural environs and the greater Seattle area. She presently lives in Seattle, but has also been a resident of Salt Lake City, Utah; Bellingham, Washington; and Tacoma, Washington. She loves to write about character and place, and is inspired by the bleak natural beauty of the Rocky Mountain region and by the fascinating history of the Puget Sound. Libbie’s writerly influences are varied, and include Vladimir Nabokov, Hilary Mantel, Annie Dillard, George R. R. Martin, songwriter Neko Case, and mixed-media storyteller Chris Onstad, to name but a few. I’m a writer and high school history teacher who has been obsessed with infamous women from history since I was twelve. My first two novels, The Secret History: A Novel of Empress Theodora and Daughter of the Gods: A Novel of Ancient Egypt focus on two of history’s forgotten women: Theodora of the Byzantine Empire and Pharaoh Hatshepsut.My third novel and fourth books center around the women who stood behind the greatest conquerors the world has ever seen. The Tiger Queens is the story of Genghis Khan’s wifeand daughters, while The Conqueror’s Wife tells of the women who both loved and hated Alexander the Great.I recently joined the H Team to help write a collaborative novel, Song of War: A Novel of Troy (Available October 2016) in which I tell the story of Cassandra, King Priam’s cursed seer of a daughter.I live with my husband and daughter in Alaska, where I’m at work on my next novel about history’s forgotten women. When I was a kid, I wanted to be an archaeologist. By the time I entered college, I had forgotten my dreams of digging in the dirt and ended up with a degree possibly even less marketable than archaeology—English. My love for ancient history went underground as I threw myself into a career writing marketing materials for banks, corporations, and tech companies. I reconnected with my love of the past when I started telling my kids stories about some of Alexander the Great’s most outlandish antics. They started asking for more, so I wrote a kid’s biography on that crazy character and in 2006, Alexander the Great Rocks the World was born. The book was well received and was named a VOYA Honor Book for nonfiction and to the list of “25 Books all Georgia Children Should Read” by the Georgia Center for the Book. In 2010, my biography of Cleopatra—Cleopatra Rules! The Amazing Life of the Original Teen Queen—was released and was similarly well received. In 2011, I moved into young adult historical fiction with the release of Cleopatra’s Moon(Arthur A. Levine/Scholastic), named one of the best books of 2012 by the Center for Children’s Literature. The novel is a coming of age story of Cleopatra’s real-life daughter, Selene, and offers a glimpse of both Egypt and Rome during the latter’s transition into the age of Empire. The novel earned excellent reviews in Publisher’s Weekly, The Wall Street Journal, The Los Angeles Times, and other national outlets, including Atlanticonline and EW online. In 2013, my midgrade series on mythology—Secrets of the Ancient Gods— was released by Boyds Mills Press. School Library Journal called the first book in the series—Anubis Speaks! A Guide to the Afterworld by the Egyptian God of the Dead—“wickedly funny” and “chock full of interesting information.” It was a Cybils Award Finalist for midgrade nonfiction. The second in the series, Hades Speaks! A Guide to the Underworld by the Greek God of the Dead releases October 2014. And Thor Speaks! A Guide to the Norse Realms by the Viking God of Thunder releases in 2015. For nearly a decade I have served as a docent at the Michael C. Carlos Museum of Antiquities at Emory University where I get to share my passion for ancient history with visiting school kids. Few things make me happier than showing off our Egyptian mummies and breathtaking classical statues. Russell has had an (almost) life long fascination with ancient Greece and Rome, sparked by seeing the The Three Hundred Spartans on ITV in the seventies. Educated to A-Level, he did not complete college, preferring instead to seek fame and fortune in a heavy metal band. Sadly, fame and fortune were not forthcoming and a career in telesales beckoned. A series of jobs followed culminating in the heady heights of ‘content editor’ for a large multi-national. Heavy Metal is Russ’s music of choice, though he was also in a goth band and thus has the obligatory Sisters of Mercy and Mission CD’s in his collection. He is a huge fan of the Swedish band Hysterica and has written a song for their forthcoming album The Art of Metal. I thought initially when i reviewed this book that i would review it based on each authors song, their tone, tenor, base etc.. how their voice echoed the tone of the people and the time. But then as i read it i saw very quickly that this team had blended their voices perfectly into a perfect harmonic whole, a song of Troy, making it difficult to individualize one over the other. The whole book feels immensely personal as we join individual characters taken from the pages of the Iliad and given life, and not just the template life of the Iliad but complex interacting real characters dealing with the minutia of life as well as the heroic and sickening deeds of battle. I would suspect that many would be waiting for me to call out and laud Christian Cameron’s (as i’m a known fan), story as my fav in the book, but to be honest everyone created their own immensely real characters that i can only go with my fav character from the tale and that is Odysseus, oddly he is probably the nerd of the bunch and i love the fighting. But he is the brains not the brawn, and he has always felt to me to have so many more levels than the other characters, and i’m always drawn to him because his tale never ends at Troy…. 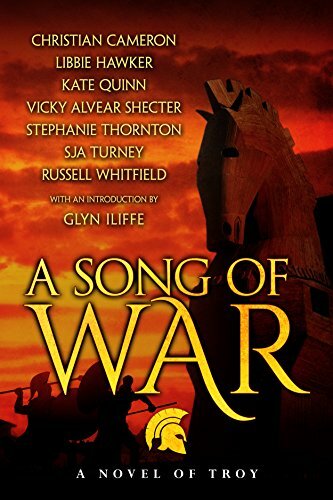 Special mention does also go to Simon Turney though, the end song, this one had to pull all the final threads together, and allowed him to end with the lead into the tale of the Aeneid with its founding of Rome and his great passion, (something he managed with great skill). For a story that we all know so well, to find that its told in a way that leaves you on the edge of your seat throughout wondering if something might change, if Cassandra might be believed, as the passion and madness of her character race across the page, to… would Aeneas be able to save someone in the destruction of Troy, Or could it be avoided if Hector and Achilles find a way to walk away from a fight…and so much more, this speaks volumes of the ability of all the writers in this group. What ever it is for you and on what ever level it works for you, for me the Tale has ended, the songs are done, but this book joins some of the great tales of Troy, and the notes of Troy’s song will continue to echo through eternity when writers of passion and skill enthrall readers in this way. is an author, a re-enactor, an outdoors expert and a weapons specialist. He lives, works and writes in Toronto, where he lives with his family. The Red Knight has stood against soldiers, armies, and the might of an empire without flinching. He’s fought on real and magical battlefields alike, and now he’s facing one of the greatest challenges yet. A tournament. A joyous spring event, the flower of the nobility will ride against each other for royal favor and acclaim. It’s a political contest – one that the Red Knight has the skill to win. But the stakes may be higher than he thinks. 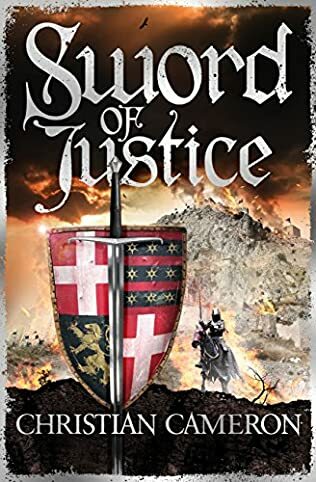 The court of Alba has been infiltrated by a dangerous faction of warlike knights, led by the greatest knight in the world: Jean de Vrailly – and the prize he’s fighting for isn’t royal favor but the throne of Alba itself…. This is the third book in the Traitor Son Cycle, following The Red Knight and The Fell Sword. Move over Tolkien, GRR Martin and all other writers of deeply, involved complex fantasy worlds, because the more this series progresses the better it gets, it doesn’t fall into the trap of other series where side avenues get explored for the sake of page count, it doesn’t flap on with inconsequential characters. What it does is grab the reader by the neck and take them into a well thought out and highly complex world (just as you would expect a real world to be), there is no room or tolerance for two dimensional characters, nations, ideas or concepts, each idea and concept is heavily thought through and explored, researched and imagined, and yet at no time does it waffle or become mundane. It excites, it thrills and it makes you laugh, for a writer to pack so much description and emotion into something so real is simply astounding. In the same way as a child when i was dragged into the sphere of Narnia or Middle earth, Miles Cameron has created a world and an idea that is all encompassing and utterly enthralling, such that you cannot help but fall in love with the place. The magic, the politics, the pageantry all build to give the reader the fullest of fantasy reading experience and whilst book 3 answers so much, and gives so much to the reader, at the end, the possibilities abound for the next direction the writer and this world will take. If Westeros could be made into a household name by GoT, then someone needs to wave this under the right noses at the big TV companies. This has the makings of something truly epic for more than just literature.